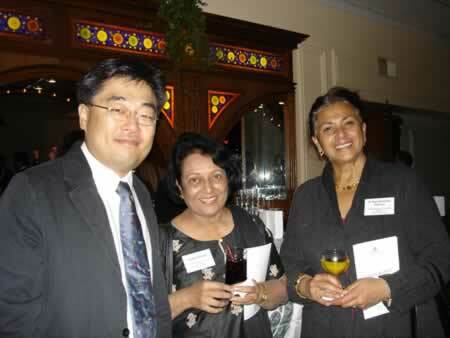 On Thursday, November 9th 2006, the Asian American Federation hosted its 2006 Membership Reception at the Manhattan Penthouse. Twenty-eight member agencies attended the reception, where Federation Executive Director Cao K. O presented our strategic plan for 2006 through 2008. Under the backdrop of a PowerPoint slide show featuring program activities of the Federation member agencies, close to 100 participants spent the evening networking with each other, as well as with a number of corporate representatives. “This event offered the opportunity for non-profits to come together and network, which is very different from going to someone else’ fundraiser”, one event participant commented. 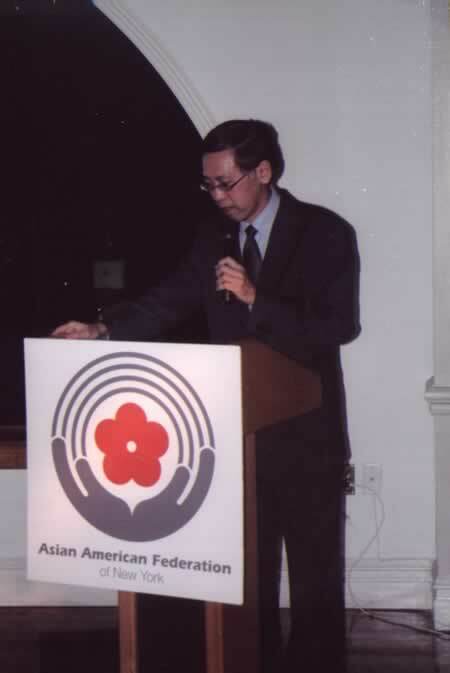 “(The member agencies’) attendance …demonstrates (their) support for the Federation’s activities as well as (their) continued dedication towards working with the Asian American community”, Cao O added. The reception is one of the many activities that the Federation plans to launch to move its membership services to a new front. The event served to deliver the Federation new strategic plan to our members, and at the same time, create a networking and communication opportunity that enhances our role as a federation.